Bet Ravens (-5.5) & Chiefs-49ers (over 56) & Panthers (-2.5) & Packers (-2.5) at +1279 with Karamba. It was interesting to contrast Weeks 1 and 2 of the NFL betting season as we got a clear look at what was a one-week aberration versus what is starting to build as a trend. Can the Pittsburgh Steelers and Houston Texans get it together or are they set to struggle in 2018? And are teams such as the Tampa Bay Buccaneers and Kansas City Chiefs actually serious contenders or is this just a hot start? The Broncos are 2-0 but should be a little concerned. Quarterback Case Keenum has been effective at times, but he’s also already thrown four interceptions. Now they take their show on the road to face a quality Ravens defense that is always tough to beat at home. The Ravens blew out the Bills in Week 1 and then only showed up in the second half against the Cincinnati Bengals in Week 2. Look for a more complete effort in this spot. The Ravens are 16-2 in September at home with Joe Flacco. They should be able to boost those numbers this week. Take the Ravens -5.5 at Karamba. While many people are trying to figure out if the Kansas City Chiefs are for real or if this is another flash-in-the-pan start like last year, one thing that’s for sure is the overs in their games. They’ve blown by both totals, combining for 66 points in Week 1 and 82 in Week 2. What’s really going to change in Week 3? The Chiefs don’t have a very good defense and now they’ll be up against Jimmy Garoppolo. He led his team to a 30-27 win in Week 2 while being supporting by a strong effort from running back Matt Breida. As for the Chiefs, quarterback Pat Mahomes – who is probably the early leader in the MVP race – has thrown for 10 touchdowns and no interceptions through two games. The 49ers defense has given up at least 24 in each of the first two weeks. The Chiefs should get into the 30s again and push this game over, so take over 56 at Karamba. The Bengals are 2-0, but parts of their performances so far have to have fans concerned. 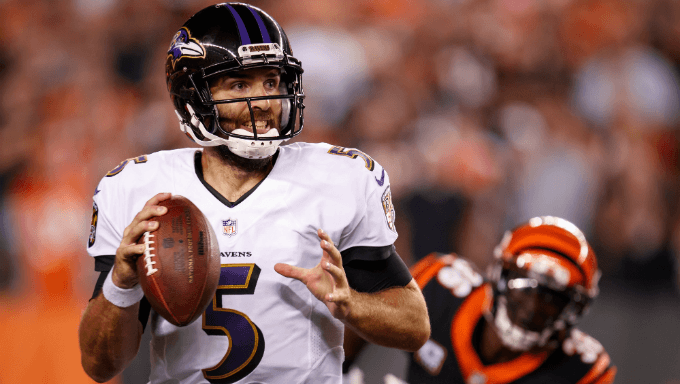 Last week, Andy Dalton had four first-half touchdown passes but it still felt like the Bengals clung on to the win, as the Ravens charged back in the second half. The bigger concern this week is that the Bengals will be without running back Joe Mixon, who is a budding star. Going on the road to Carolina without the help of a running game figures to be trouble for Dalton and company. Look for the Panthers to earn the win and cover the -2.5 at Karamba. The Redskins looked unstoppable in Week 1 at Arizona and then looked pathetic in Week 2 at home vs. Indianapolis. That probably speaks greater volumes about how bad Arizona is more than anything else. The Redskins defense actually played well but the offense – just like last year – appears to be average. They managed just 65 rushing yards on 20 carries and with the Redskins playing from behind, we saw Alex Smith revert back to his conservative roots. Seventeen of his 43 targets went to running backs. It’s still early but we’re starting to see why the Chiefs had no problem trading away Smith. His limitations are even more visible in an offense that can’t consistently run. Green Bay’s run defense has played well, for the most part. They were gashed in the first half of their opener against Chicago but then tightened up in the second half, and also held the Vikings to just 68 yards on 18 carries. Factoring that along with the fact that the Packers have a huge quarterbacking edge with Aaron Rodgers, and we’ll lay the points and bet Packers -2.5 at Karamba. Play the four-team parlay of Ravens (-5.5) & SF-KC (over 56) & Panthers (-2.5) & Packers (-2.5) at +1279 with Karamba.